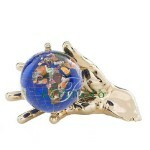 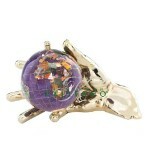 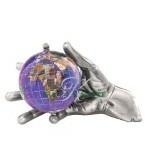 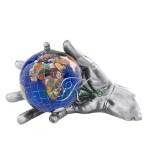 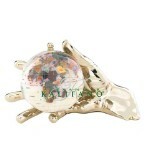 Alexander Kalifano World in Your Hand Gemstone Globe Paperweights are hand crafted with each piece taking hours to produce. 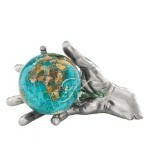 Available with silver or gold plating for the hand, these elegant luxury paperweights offer a wide range of gemstone globe ocean colors. 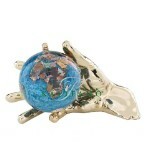 Each paperweight is unique.